Drawing for the challenge #100daysofpaperdolls will keep me busy with this blog in the next (100) days. As I said before, I will post here the weekly result of the challenge. 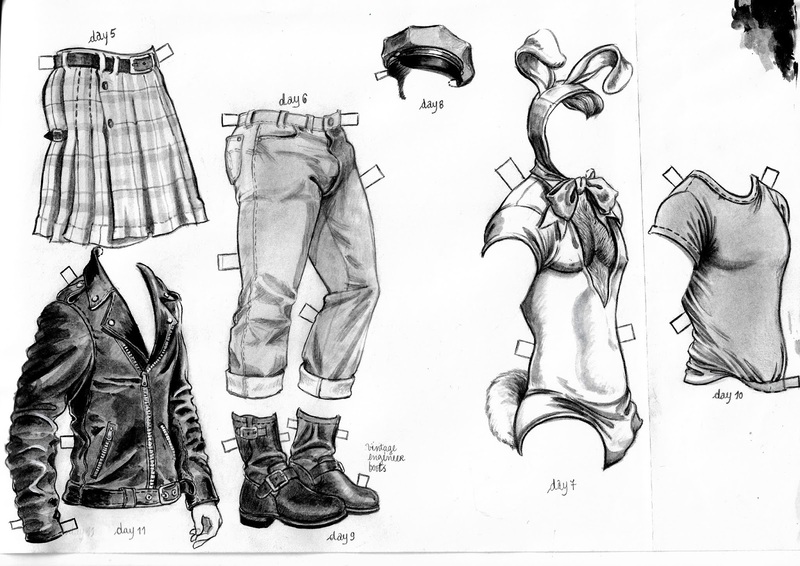 So here are the outfits of the last days: a kilt, a pair of jeans, a beret, a shirt, a pair of vintage engineer boots and a (false) leather jacket to create a Marlon Brando look ... and an outfit of Easter bunny to celebrate the season. Stay well, see you soon! Desenhar para o desafio #100daysofpaperdolls manterme-á ocupado com este blog nos próximos (100) dias. Como eu disse antes, vou postar aqui o resultado semanal do desafio. Portanto aqui ficam as roupas dos últimos dias: um kilt, um par de jeans, uma boina, uma camisa, um par de botas de engenharia vintage e uma jaqueta de couro (falsa) para criar um visual Marlon Brando ... e um traje de coelhinho da Páscoa para comemorar a temporada. 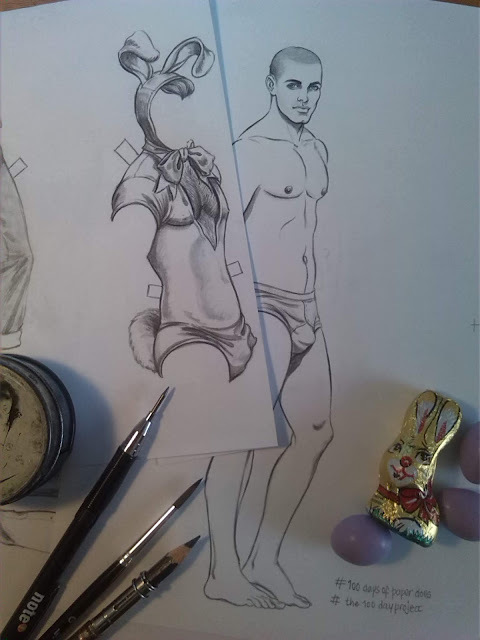 Here I leave you another easter bunny and the wishes of a Happy Easter! Aqui vos deixo mais um coelhinho da Páscoa e votos de uma Páscoa feliz! The main idea of this challenge is to design one outfit a day, an accessory, a pair of shoes or anything. 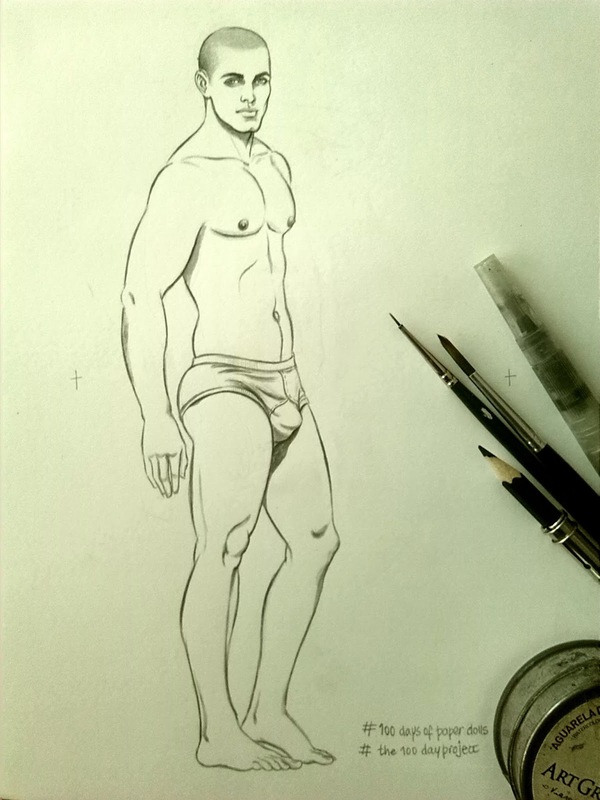 I'm also going to share the result of this challenge on Instagram in @out_of_the_closet_paper_dolls (daily, I hope!) and as I get it done I will also share the result here weekly. For now I leave here the paper doll base and the first outfits. Eu juntei-me a um novo desafio para desenhar paper dolls durante 100 dias. O desafio é o #100daysofpaperdolls que começou no dia 2 de Abril e é uma ideia lançada por http://paperthinpersonas.com/ . Este desafio surgiu no Instagram em @out_of_the_closet_paper_dolls e a ideia principal deste desafio é desenhar um outfit por dia ou um acessório ou um par de sapatos qualquer coisa. Eu também vou partilhar o resultado deste desafio no Instagram (diariamente, espero eu!) à medida que o for concretizando e irei partilhar aqui semanalmente o resultado. 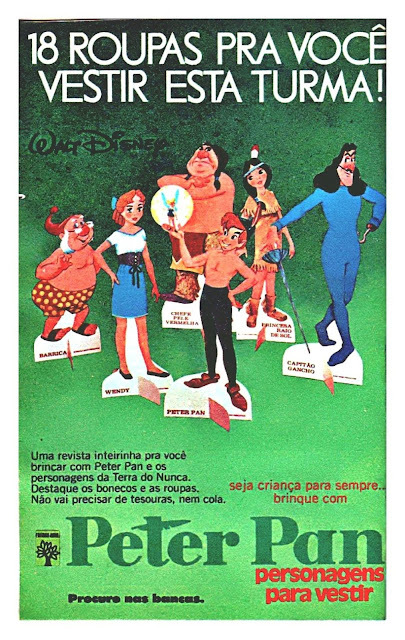 Para já deixo aqui a paper doll base e os primeiros outfits. 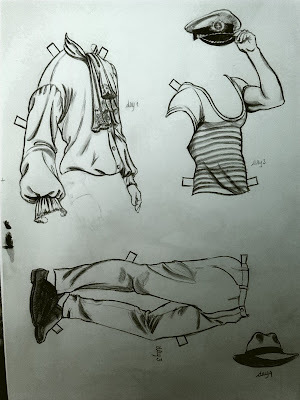 Finally the last part of A paper doll to have fun! This is the third plate with more thirteen clothes and with some different accessories that you can change with the outfits and have some funny time! Por fim a última parte de uma boneca de papel para se divertir! Esta é a terceira placa com mais treze roupas e com alguns acessórios diferentes que você pode mudar com as roupas e ter algum tempo divertido! Hi everybody! :) I decided to create this blog because I am a huge fan of paper dolls since my childhood. And I found this way to say publicly what i have kept in secret. As a child I used to draw my own paper dolls. Later, as an adult, my passion for paper dolls was reborn as a collector. 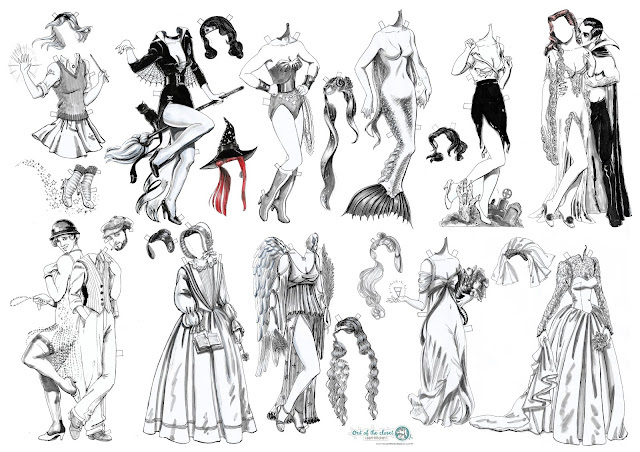 Since then there has also been a growing desire to (re) start drawing my own paper dolls and share them with you and all the world... and spread this wonderfull art form and collecting. You are wellcome!